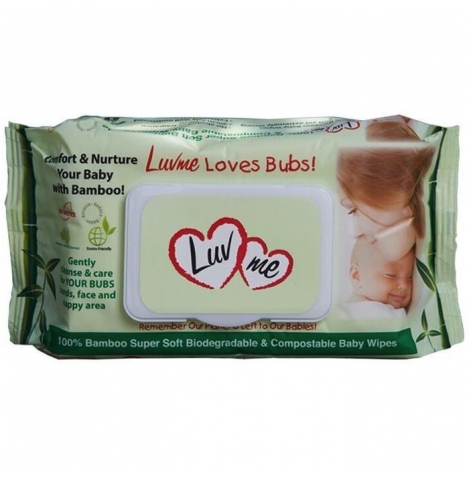 Luv me bamboo biodegradable and compostable wipes offer superior strength and durability at an affordable price. Gently cleanse and care for your baby's hands, face and nappy area! 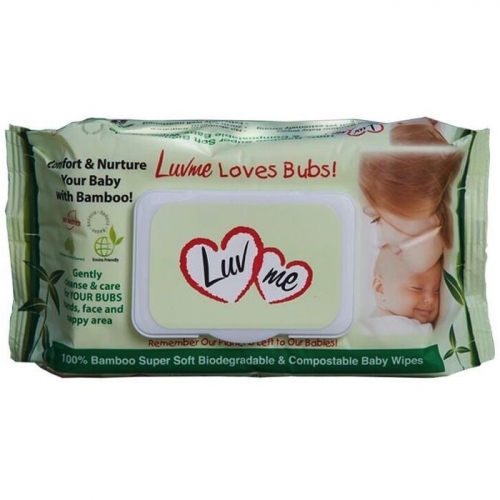 Luxuriously soft bamboo disposable wet wipes are perfect for the parents who care about bubs and the environment! Made using the highest of quality fabric bamboo, extremely soft and hypoallergenic, perfect for babies' sensitive skin! Remember our planet is left to our babies. 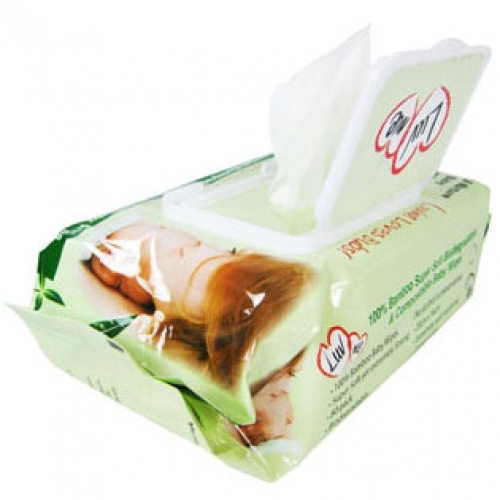 Size: 20cm x 16cm, 80 per pack. Easy one-handed open and close lid to retain moisture. 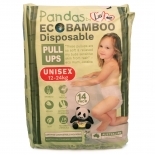 Ingredients: 100% bamboo fibre spunlace non-woven fabric, purified water, aloe vera extract, vitamin E, vegetable glycerin, fruit based citric extract (gentle mild preservative), polyaminopropyl & decyl glucocide (plant based). 100% chlorine free, no chemicals, perfumes, fragrances, alcohol, phthalates or artificial preservatives.